Just Enough Series: It's never too early to start talking with children about the facts of life, but it isn’t easy either. 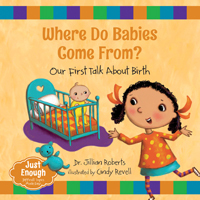 The Just Enough series helps caregivers broach uncomfortable or challenging subjects with little ones. 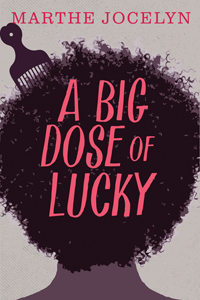 Visit www.justenough.ca for sample pages and more. The World Around Us series introduces children to complex cultural and social issues in a straightforward and accessible way. 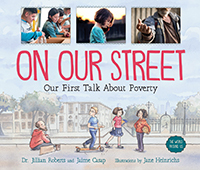 These illustrated nonfiction picture books tackle global concerns and initiate conversations about subjects that are difficult, sad or overwhelming with school-aged children who are just beginning to observe the world around them. Visit www.theworldaroundus.com for sample pages and more. Lucy Tries Sports: The Lucy Tries Sports series aims to promote physical literacy and encourage young readers to get involved in sports. Visit www.lucytriessports.com for free downloadable activities and more. Orca Footprints are nonfiction titles that encourage ecological literacy and global solutions to ongoing environmental issues. These engaging and accessible titles encourage young activists to take small steps toward big changes. Visit www.orcafootprints.com for sample chapters, Common Core correlations and more. Great Bear Books: Stretching along the BC coast from Vancouver Island’s northern tip to the Alaska panhandle, the Great Bear Rainforest represents 25 percent of the world’s remaining ancient coastal temperate rainforests. Visit www.greatbearbooks.com for ERAC evaluations, image galleries, teachers' guides and student resources. Orca Origins: Award-winning authors dig deep into the cultures that shaped them as they connect with and explain traditions that have nourished and supported people for centuries. Visit www.orcaorigins.com for image galleries and reviews. 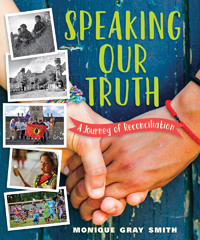 Speaking Our Truth: This nonfiction book examines how we can foster reconciliation with Indigenous people at individual, family, community and national levels. 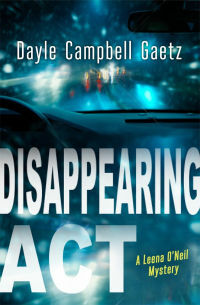 Visit www.speakingourtruth.ca discover more about this book, view maps, videos and other resources. Pride: Celebrating Diversity and Community: This work of nonfiction for middle readers examines what—and why—gay, lesbian, bisexual and transgender people and their supporters celebrate on Pride Day every June. SECRETS: A set of linked YA novels of orphan girls uncovering the secrets of the families they have never known. Visit www.readthesecrets.com for audio excerpts, poster downloads, reviews and more. Seven (the Series): When David McLean, beloved grandfather and avid adventurer, dies at the age of ninety-two, he leaves behind a very unusual will that outlines the seven tasks he has set for his seven grandsons. 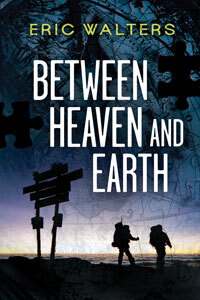 Visit www.seventheseries.com for sample chapters and a free, downloadable teachers' guide. Rapid Reads are short books for adult readers. They are intended for a diverse audience, including ESL students, reluctant readers, adults who struggle with literacy and anyone who wants a high-interest quick read. Visit www.rapid-reads.com for sample chapters, reading guides and literacy resources.